This transitional Milano is a perfect size for your powder room. 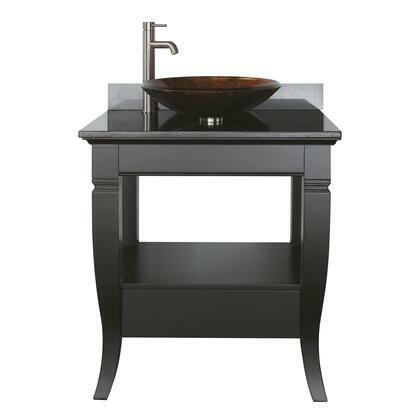 It is constructed with solid poplar wood in an understated black finish. This design will flow with all your furnishings and bath decor. 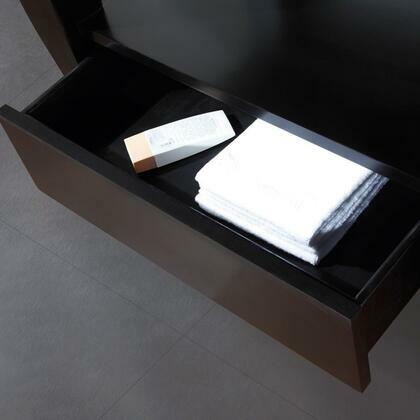 It also has storage with a bottom drawer and soft-closure glides. The vanity combo includes a black granite top, vessel sink is sold separately which allows you to select a wide range of sinks. Black is my favorite color, so when I saw that this countertop was black on the black finish, I instantly knew I had to have it. Well, I am SO happy I purchased this. The clean and sleek lines of this vanity leave my bathroom feeling so nice.